The latest entry-level smartphone of HTC that sports a 4.5-inch display and a quad-core CPU, has officially unveiled, the the Desire 310. The Desire 310 is a 4.5-inch capacitive touch screen display, powered by a 1.3 GHz Quad-core processor and Android 4.2 (Jelly Bean) with 2,000mAh battery capacity. The device features HTC BlinkFeed home screen and Video Highlights. 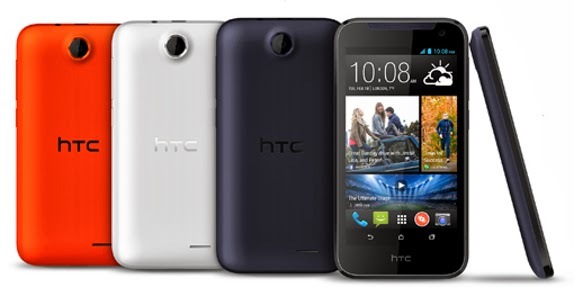 The HTC Desire 310 comes in Black, White, Blue, and Red colors, and will be available in Taiwan starting from April. The company not announced the price yet.